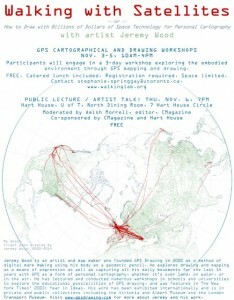 WalkingLab, the project at OISE I work as a Research Fellow on, is hosting a 4 day workshop with British GPS artist, Jeremy Wood. It’s free, and anyone can sign up! November 3rd – 5th, 2014.